Last year saw positive growth in consumer demand for diamond jewellery in local currency terms across all of the top five markets, which together account for about 75% of global demand at constant exchange rates, as growth amounted to almost 5% globally. Growth at current exchange rates was 3% due to the US dollar strengthening against the currencies of some of the main consumer markets. The US diamond jewellery market continued to grow at a robust rate, due to strengthening of the economic recovery, growing job numbers, an improving stock market and, towards the end of the year, declining oil prices which increased the consumers spending power. China was the second fastest growing diamond market after the US. While this was slower than in 2013, it still represented substantial growth given that the consumption base grew so rapidly in recent years. This slower pace of growth in diamond jewellery sales was due largely to the slowing down of the economic growth rate. Chinese consumers’ growing preference for travel and luxury shopping abroad compensated for some of the domestic slowdown. The Indian market returned to positive growth, up 3% in local currency terms, as government reforms began to take hold and improving macro-economics boosted discretionary spending. However, rupee depreciation against the US dollar pushed the growth rate into slightly negative territory (-1%). The Japanese market exceeded expectations, achieving positive local currency growth (+2%), driven by the upsurge in Q1 spending prior to the consumption tax increase. However, the sharp depreciation of the yen against the US dollar eroded that to negative growth of -11% in US dollars. The Gulf region, and particularly the UAE, saw lower tourist numbers and weaker spending from key overseas nationalities, such as the Russians and Chinese. However, demand from local residents was stable and grew in low single-digit numbers. In terms of global share of demand for polished diamonds (measured by analysing the polished wholesale price value of diamonds contained in diamond jewellery), the US remained the largest market, increasing its share to 42% in 2014 (compared with 40% in 2013). China, including Hong Kong and Macau, remained the second largest market with 16%. India and the Gulf region were the next largest markets with 8% shares, followed by Japan with 5% (slightly down from 6% in 2013). The macro-economic environment and trade outlook indicate further growth in diamond jewellery sales across all main markets in local currency terms. Optimism is highest in the US and India, while in China expectations are that growth will pick up. Lower oil prices and high consumer confidence, especially in the US, could boost growth in demand for diamonds. As we all know, there have been some challenges for the diamond industry recently as the benefits from the continued global growth in consumer demand for diamond jewellery have not yet been fully experienced further along the value chain. We have come a very long way in a relatively short period of time. But the stark truth is that the pace of change will only increase in the future. In an environment such as this we need to focus on controlling the controllables. It can be easy to feel overwhelmed by the pace of change but the only rational response is to look at what is happening externally. Look at what is within your capacity to affect, in order to increase your business’s chances of success and consider how to put plans into action as quickly as possible. It is important to focus on making your business robust and resilient – while the global economy is in a period of recovery, we should all concentrate on what we can do today in order to prepare for tomorrow. Investment really is a key word here – the industry will soon be faced with a period of heightened opportunity, the like of which we have not seen in more than a generation. But the industry’s potential will only be fully delivered if appropriate investments are made across the value chain by all relevant parties. If we want to make the most of the future then we must all look at how we can invest now to increase our future returns. It is clear that we all have a responsibility to invest appropriately. 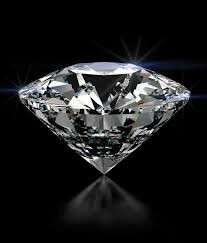 Essentially, sustaining demand throughout the value chain for the long term requires us to build and maintain what we call diamond equity. 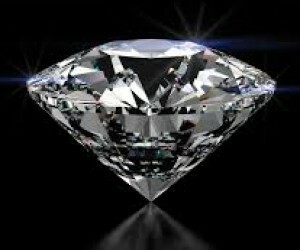 Put simply, diamond equity is the value that people perceive in diamonds. It is made up of financial value, emotional value, ethical integrity and product integrity. If all industry participants work to reinforce the emotional appeal of diamonds and maintain consumer trust in the product and the trade, then we all stand to benefit from an expanding industry. This clearly emphasises how important it is for us to avoid complacency around issues such as undisclosed synthetics. If we lose the confidence of consumers in the integrity of the industry, then no amount of marketing spend will repair the damage. Midstream businesses must continue to invest in their systems and processes, ensuring that all risk areas are covered. We must also be acutely aware of the increasing challenges to consumer confidence presented by differing grading standards at the various grading laboratories. This issue has captured a lot of attention in recent months, especially with consumers in the US, and we must all display the leadership required to reassure the public that they can rely on the integrity of the diamond industry. And alongside our responsibilities, when it comes to consumer confidence, there is also an important role for the sight holder community to play in terms of investing in business improvements and maintaining demand at each stage of the pipeline. Whether your focus is on economies of scale, improved use of technology or more efficient distribution, sustainably capturing value in the midstream requires ongoing investment so that your own customers’ demand remains strong and reflective of the true value of your product and service proposition. In order to capitalise fully on the opportunities, we now need to focus on appropriate investments. We have a few years to prepare for the next fifty years. There is no time to waste.